English pastor A.C. Shaw is known as the founder of Karuizawa as a resort popular with Tokyoites trying to escape summertime heat. 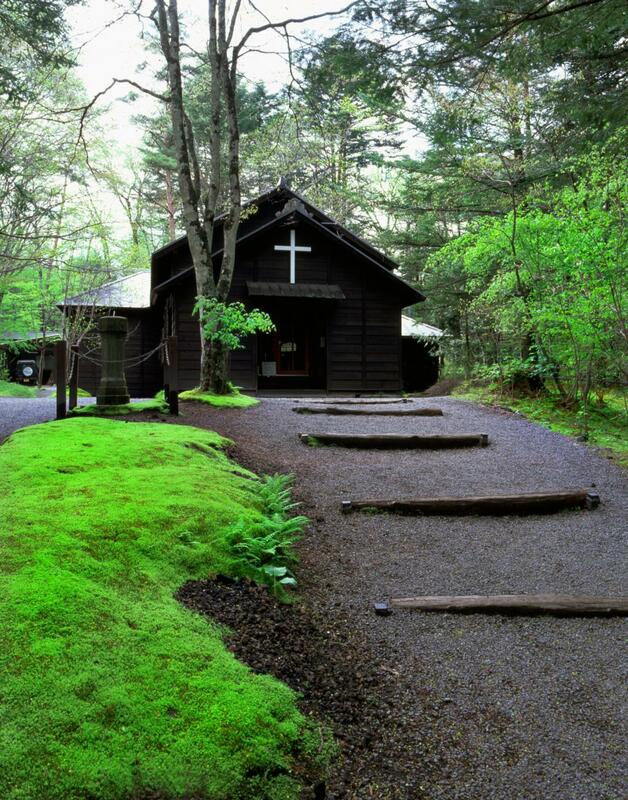 The Shaw Memorial Church was built in 1895, making it Karuizawa’s first church. Pastor Shaw’s summer home has been reconstructed behind the church. Open daily except for when in private use (weddings, etc.). Masses held every Sunday at 10:00. From Karuizawa Station(JR Hokuriku(Nagano) Shinkansen), From the Kita-Guchi (north) exit, take the Kusa-Karu Bus from platform #4 (Loop Bus, Inner Route), Kyukaruizawa stop (approx. 5 min) then 10-15 min on foot.